Deerbusters.com carries durable poly deer fence rolls that offer both reliable garden protection from deer damage and peace of mind that your home garden is pest free. This is the most trusted type of yard fencing for deer management! Our most popular garden fence, made from a heavy duty polypropylene material, contains breaking strengths ranging from 650 lb/sq.ft. to 1,400 lb/sq.ft and a life expectancy of up to 20+ years in the field. This type of fence is recommended for keeping out deer and other browsing animals. 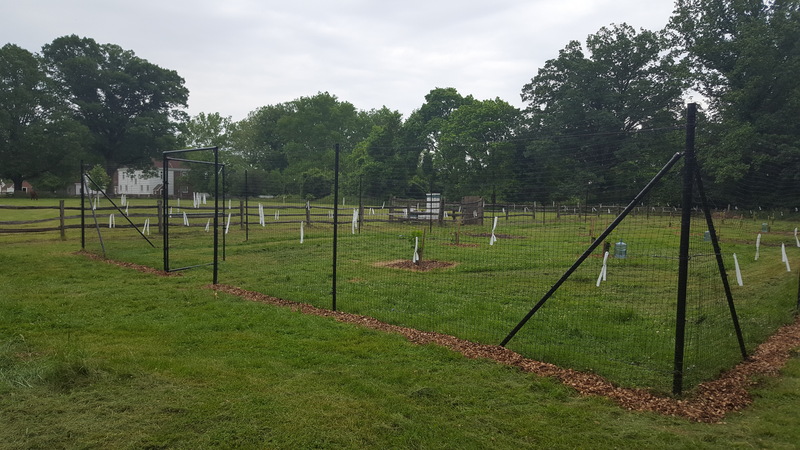 We offer two brands of plastic deer fencing our own Trident Deer Fence, made to our specifications based on years of testing and testing research featuring a reinforced bottom, and TENAX Fence a well known deer fence manufacturer. Trident Deer Fence - Approved by Dr. Deer! Trident Extruded Deer Fence is the bestselling plastic deer fencing on Deerbusters.com, as it stands up to light to moderate deer pressure. Trident Poly Deer Fence is made of semi-rounded strands, making them lightweight, durable and nearly invisible. The flexibility of this plastic square fence mesh makes this yard fencing easy to install, repair and store if being used during only during growing seasons. Moreover, Trident brand fence products are reinforced at the bottom with tightly woven mesh material, to help stake down the fence with ground stakes. Whether you need reliable fencing or want to enclose a small vegetable garden or a sprawling orchard, you will be able to find the Trident Fence strength that bests suits your needs. 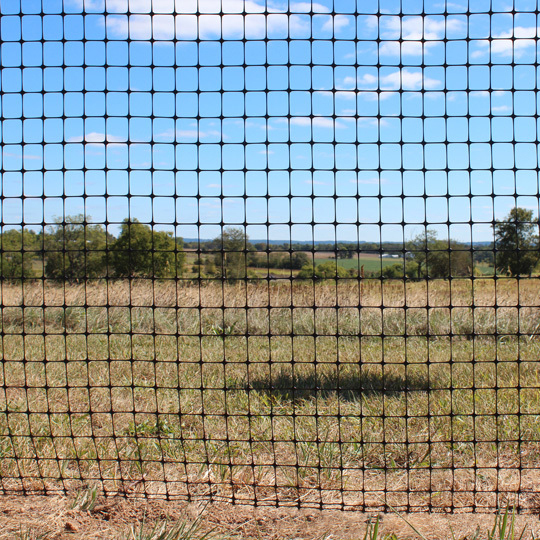 TENAX Deer Fence - Made in USA! For customers looking to build an American-made product, you've come to the right place. TENAX has been producing quality poly deer fence for over 50 years right here in the United States. The advantages of TENAX products lie within the thick, virtually invisible rounded strands of mesh. Tenax virtually invisible fence is made using a bi-oriented manufacturing process, resulting in a poly deer fence of optimum strength. The round strands are extremely tough, and are more invisible than flat or semi-rounded strands. The strength of the plastic deer fence reduces the likeliness of stretching and sagging, and the rounded shape allows wind to pass right through, minimizing the risk damage from the weather. For landowners experiencing elk damage, consider TENAX's Elk Fence. The UV-resistant fence for elk management has a breaking load of 1400 pounds and a life expectancy of at least 30 years! For beginners, we highly recommend starting with a poly deer fence kit. Plastic deer fencing is easy to install and is reliable for garden management. 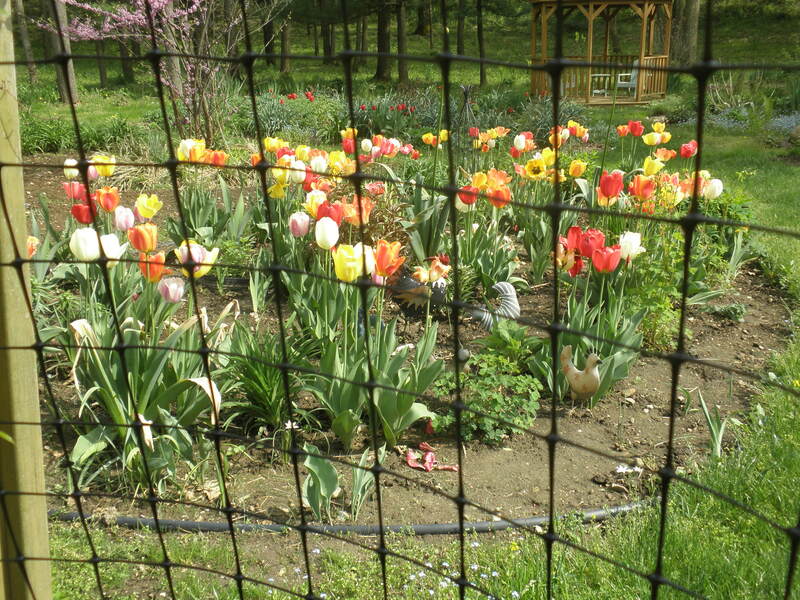 See how to turn your basic garden enclosure into a complete security system.